Jack McGann is just days away from one of the most important fights of his career as he makes his boxing debut. The former MMA star, 25, is fighting on the undercard of Tyson Fury’s comeback at the Manchester Arena, exclusively live on BT Sport. McGann forged a reputation as one of the hardest hitters on Russian MMA promotion EFN’s books, adding an impressive pair of knockouts to his 11-5 record during his time in the former Soviet state. 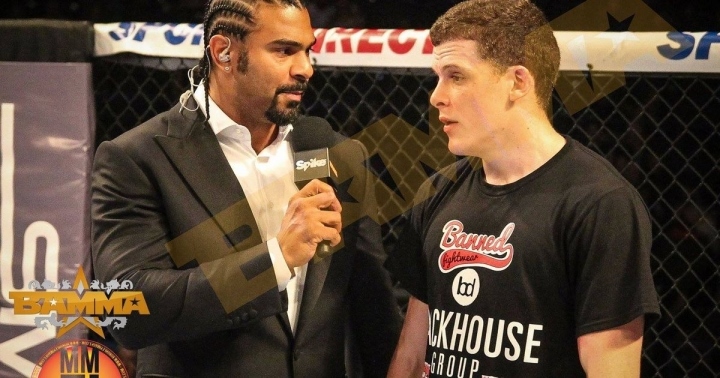 And he will be in action again on Saturday, after putting his MMA campaign on ice to test himself in the squared circle, when he takes on Midlands middleweight Dwain Grant on his debut over six rounds. “I’ve done loads of camps before for big fights but this is my first ever boxing camp,” McGann said recently. McGann, who is good pals with Tom Hardy, said he is relishing the opportunity of featuring on one of the biggest cards of the year – topped by the aforementioned Fury’s return against 39-year-old Swiss-based Macedonian cruiserweight Sefer Seferi – and is looking forward to being cornered by Dubliner Conor McGregor’s fabled striking coach Owen Roddy. “I’ve got something to prove in this fight,” he added. “People might look at me and say I don’t belong on this card and stuff, but it is what it is. “It’s more the strategic side I’ve had to adjust to, rather than the physical side of the sport, because there are more rounds and they are shorter so you can afford to have a round off, or push forward in this round or even lose a round. “I’m picking it up as I’m going – but I’m getting it. “[Dwain] Grant is an experienced, slick opponent who looks to be in great condition – the guy lives in a gym. “It’s a tough fight for my debut, exactly what we wanted. He has never been stopped before and I will look to change that. Roddy, meanwhile, has insisted that he will have the knowledge to help McGann along the way in the paid code of the hurt business. He said: “I took a lot from that fight and just the experience from that whole thing, and we’ll be implementing it into his game plan.